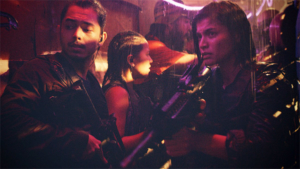 MAAC Review: BUYBUST | M.A.A.C. I really wanted to like this. The hype around it has been endearing. What little action has been shown in promotional material has been dodgy at best but I was ready to give it the benefit of a doubt. 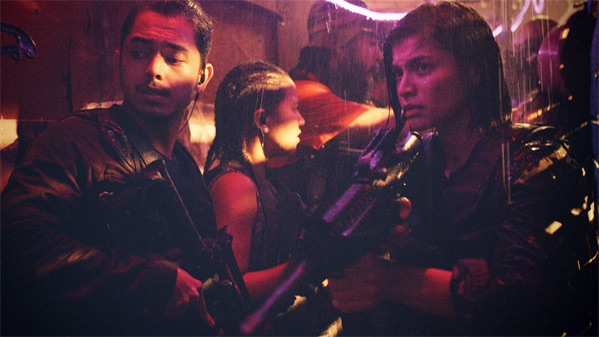 They promote it as some second coming of the philippine action cinema and made a big deal out of statistics (309 stuntmen, 928 liters of blood, 15,321 bullets etc.). Apparently two years in the making, this is, sadly a waste of time. 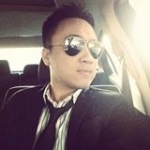 I can see that the “8000 sqm. set” took some time to build but all the talk about thorough testing, planning, pre-visualization and training just didn’t pay off. BUYBUST is a bust. The bare bones plot, “An anti-drug enforcement agency stages a massive drug bust in the slums of Manila”, would seem an ideal opportunity to concentrate on action and make a style exercise in taut formalism, alas, instead it delves into exposition, clunky plotting and a really heavy handed socio-political allegory on the injustice of a corrupt system. 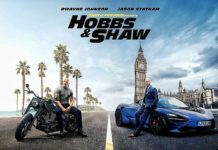 While most anything can be excused in an action movie if it delivers on the action, here we get 40 minutes of inconsistent build up followed by mendering lulls in between disappointing amateurish set-pieces. Nothing here convinces. The tactical team looks insecure just trying to carry their weapons and the physical acting overall is unbelievable, there is no heft to it. Fights are basic, overedited and look and feel like rehearsal footage. 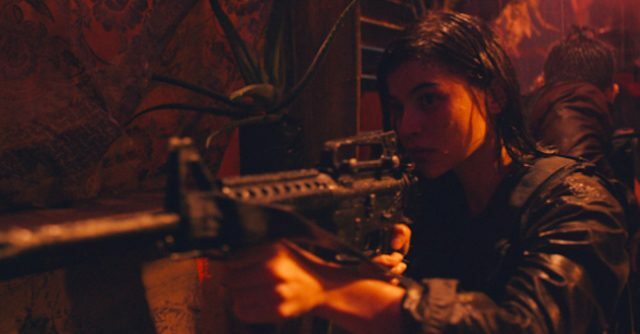 Main star, Anne Curtis carries it dramatically the few times she gets a chance to and does seem to do (while with questionable results) all her stunts and fighting herself. She just can not imbue the required physicality of the part. What is worse, the movie is not there to help her either. This betrayal of trust culminates in an embarrassing unbroken take, which just leaves her hanging. Trying to her best ability to hit the marks but without any power or conviction. No doubt a hard scene to perform, the outcome is unconvincing and totally unnecessary. They should have focused on fewer set-pieces and put some care into them instead. All the more frustrating, as there is potential here. 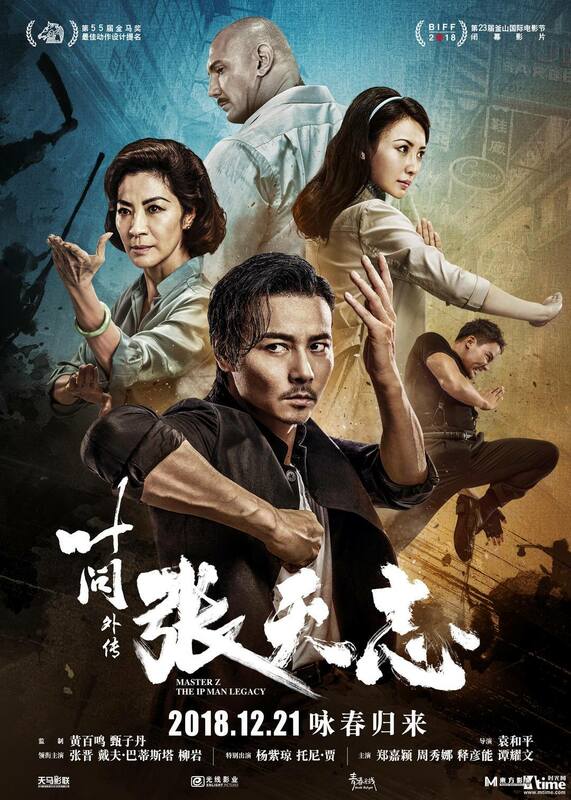 Unlike so many other low budget action movies, there are hints of artistry here. It looks and feels great.The cinematography and setting is textured, gritty and moody. 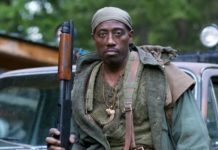 Expressionistic colours and flourishes brings to mind a low grade, late era Tony Scott, and the rough angled framing in tight alleyways, rain and dirt, a cheap guerilla Kathryn Bigelow sans sense of space. This could very well have been great had they settled for less. The simplistic story should have been indicative. The pieces are there, they are just lost in overindulgent excess, a lack of technical polish and plodding, overbearing satirical statement. I admire the ambition and everyone’s dedication and despite my negativity I would welcome a part II, there is ample room for improvement here.